Many apartment complexes have a pool onsite as an added benefit for the complex’s residents. It is a place where residents can take their friends and family to relax or where they can go to meet other residents and socialize. Beneath the seemingly clear waters of these pools lie hidden dangers, however. Many apartment complex pools are not staffed by a lifeguard or other supervisor and many pools and fences receive only the bare minimum of upkeep. This makes them dangerous to residents, their children, and anyone else who uses them for recreation. A poorly maintained pool or fence can contribute to a drowning or near-drowning incident. Who is Responsible for an Apartment Pool Drowning or Near-Drowning? Apartment management staff: Apartment management staff can be responsible for a drowning or near-drowning if they did not take reasonable precautions to protect adults and children from the dangers of the pool. Perhaps the management staff did not call a pool maintenance company to clean or fill the pool as necessary and you or a loved one was injured as a result. Or perhaps the management staff should have known the fence around the pool was in need of repair but they did nothing. Still further, an apartment management company may have taken no preventative measures: there is no fence around the pool, nor a warning sign and the walkway around the pool is slippery. Any one of these failures to act can contribute to a drowning incident or near-drowning and result in liability for the management company and its staff. Fence repair company: Suppose that the apartment management staff did notice that the fence around the pool was in need of repair and that a repair company was called. That repair company has an obligation to perform fence repairs in a reasonably professional manner. If the fence repair company does a hasty or improper job and a child or adult is injured as a result because he or she can access the pool, the fence company may be liable. Another careless person: Sometimes horseplay is to blame for a drowning incident: children fighting or running around the pool or provoking one another. Adults can engage in this same behavior as well. When one person puts a drowning victim or near-drowning victim’s life in danger by jokingly holding the victim’s head under water or throwing an unsuspecting victim into a pool, the victim can be seriously injured or die. The person that engaged in this careless behavior may then find him- or herself responsible for the victim’s and his or her family’s losses and injuries. 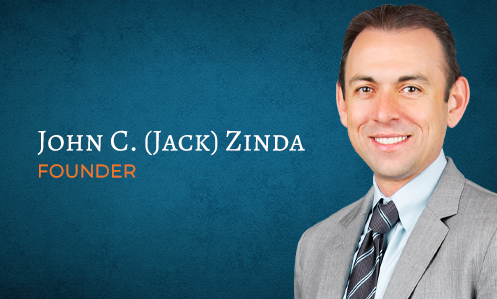 If you or a loved one have been injured at an apartment pool, contact Zinda Law Group at (800) 863-5312 right away. You may be entitled to compensation from parties that either caused or contributed to the drowning or near-drowning incident.